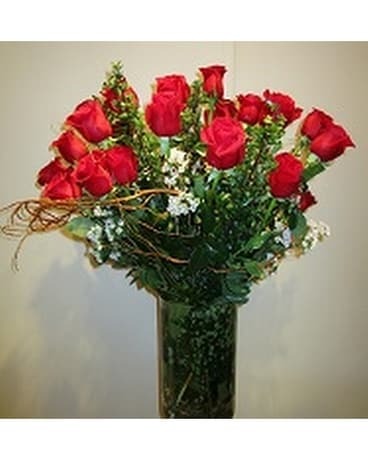 2 Dozen Roses with greenery in the stem length of your choice available in classic red and other colors. Roses often speak the language of love and your story is unique - let us help you send your loved one a message that is your own! Hand delivery or in store pick available. The container pictured is for display purposes only. We offer a variety of choices upon request including crystal containers for an additional charge. 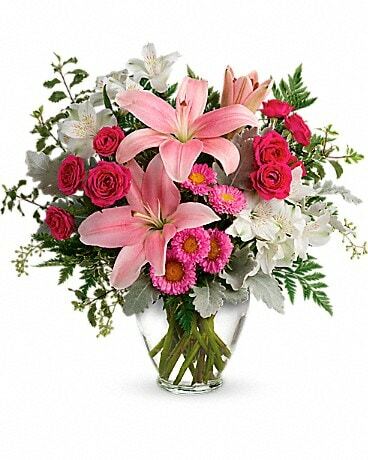 You may request additional embellishments to your order such as spring flowers or chocolates for a surcharge. Wire-out service also available (Not available during special Holidays).